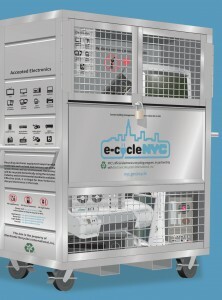 New York City, in partnership with Electronic Recyclers International, Inc., is now providing an e-cycleNYC program to buildings in the New York City area. A state law, it is now illegal to discard of electronics in the normal trash and all buildings will need to abide by the guidelines that are set forth. If your building should sign up for the program and receive a Sanitation ticket for placing an electronic device out with the normal garbage (if a neighbor places a tv with your garbage, for instance), you will most likely have the ability to appeal the ticket and show good faith that you are in the program. Accepted electronics for the e-cycleNYC program include televisions, dvd & dvr players, monitors, computers, peripherals (mouse, keyboard, etc. ), tablets, printers, scanners, mobile phones, mp3 players and hard drives. Essentially, anything that is plugged in and has a storage function is acceptable. If an item is placed for collection with the e-cycleNYC program and it is cracked, such as a television with a broken screen, the city will request that tape be placed over the crack as to not endanger the staff when they are removing the items. Items that are not acceptable for recycling in the program and that can be left out with the normal garbage collection are appliances such as vacuum cleaners, refrigerators, washing machines, blenders and stoves. In addition, batteries are not eligible for the e-cycleNYC program, either. There are consumer take-back programs available for rechargeable batteries at many locations that sell them (such as Staples) and normal alkaline batteries can be thrown out with the regular garbage. Depending on how large your building is will determine what type of access you have to a storage bin, provided for free by the city. If you are in a building that is smaller than 50 units, a storage room can be kept where these items can be deposited. A bin will not be given to your building, but when there are more than 20 pieces of electronics to be picked up, your building can call the city to schedule a removal of those items. This room should not be located either more than one staircase down if there is no elevator, or should be accessible by an elevator. If your building is either too small for a storage room or if you feel as though you’ll never hit the required 20 pieces of electronics to initiate the pick-up, you can always donate your electronics at Goodwill (or another organization) or recycle select electronics at vendors that will accept them. Best Buy, for instance, has a mobile phone recycling drop off at the entrance to their stores. If your building is larger than 50 units in size, you will be eligible to have a locked storage bin delivered that will be placed in a dedicated room or area of the building that is accessible to the residents and/or building staff only. The bins come in two different sizes; a small (2′ deep x 4′ wide x 5′ high) and a larger (2′ deep x 5.5′ deep x 6′ high). A padlock will be delivered with the storage bin and when there is a pickup, the entire storage bin will be removed and a new one left in its place (with a new padlock as well). The city will request that the room where the bin will be located be accessible either by service elevator or if steps are required to be navigated, a building-supplied ramp should be used to allow for the bins to be rolled up and down. If there is no ramp and there are only stairs leading to the room the bin will not be able to be delivered. It goes without saying that any room that is holding these bins should be large enough for the bin and additional room for turning. The program will be available to those buildings that sign a license agreement with the city. These agreements cannot be altered in any way from their original text (building attorneys will not be able to revise them in any way). In addition, individual Certificates of Insurance will not be given to your building, but each entity that is named within the licensing agreement will be covered by the city’s insurance. The agreement is where a building would place the building’s name, management company’s name and any other parties that wish to be covered. For buildings that are larger than 250 units, the city is happy to organize outdoor events on your property, with an e-cycleNYC truck and storage bins for the day. There are a few conditions that the building must maintain in order to host this event. The event must be held in an available outdoor space, such as a parking lot, it can take place any day of the week or weekend (a maximum of four hours) and it must be scheduled with e-cycleNYC at least 60 days in advance. It would be best if the building owner / managing agent could also publicize the upcoming event to all residents, at multiple times during the lead up to the event so that the event will result in higher levels of recycling by those looking to offload their old electronic devices. A resident survey or sign-up sheet will be utilized for e-cycleNYC to gauge the level of staffing needed. If your building has a bin and would like to have the items removed form the subject property, you can schedule the pickup by calling 212-437-4647 or e-mailing e-cycleNYC@dsny.nyc.gov. Within three (3) business days, e-cycleNYC will replace your bin with an empty bin. 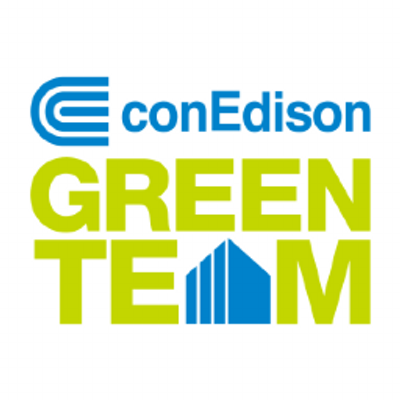 The last part of this installation and compliance with the e-cycleNYC program is that a representative from either your management company or from the building must attend a seminar given on this subject, at the Department of Sanitation, to go over all of the above information and to have any questions answered. You can call or e-mail the e-cycleNYC program to schedule by using the information given in the paragraph just above. If you are a part of a management company that manages multiple buildings, such as ours, one seminar attendance can cover each of the properties in your portfolio, but a separate license agreement would be needed for each individual property in your portfolio. The New York City Department of Finance has recently changed its application process for the Co-op and Condo Property Tax Abatement (“CCA”) for unit owners. Unit owners can now apply for the CCA by completing the Homeowner Tax Benefit Application (click here to download). The revised application now includes CCA in addition to other benefits, such as STAR. – Unit Owners who purchased their unit / shares by January 5, 2015 are eligible to apply for the 2015 / 2016 tax year (July 1, 2015 – June 30, 2016). The filing deadline for this tax period was March 16, 2015. – Unit Owners who purchased their unit / shares after January 5, 2015 should apply for the 2016 / 2017 tax year when that application (the updated links in this post now point that new link). Please note that to be eligible, you must must use the subject unit as a primary residence and you can not own more than three residential units in the co-op or condo development. If the unit is owned by a business entity, such as an LLC or a sponsor, your unit is not eligible for the abatements from the city. In order to apply for the Abatement, you can view and download the application at this link: http://www1.nyc.gov/assets/finance/downloads/pdf/payment_operations/exemptions_appl.pdf or you can call 311 and have the application mailed to you. In addition, as a new policy that is in effect for 2015, an application will be given out at each closing for a new Shareholder or Unit Owner so that they may have the information as soon as they purchase a unit. Where In The Offering Plan Can I See How Many Shares I Own? The Offering Plan of a Cooperative or Condominium is a huge book that is filed with the State at the time the Sponsor / Developer decide to offer their building up for sale to the open public. Being that it is so big, it’s often easy to get lost in the vastness of printed paper. For those looking to view the specifics of how many shares or what the percentage of common area ownership are in a particular unit, it could take while to narrow down the search if it is not known where this information is housed. If you thumb through the beginning area of your Offering Plan in search of the specifics to either the unit that you own or that you are looking to purchase, the “Schedule A” will be one of the most important areas to verify ownership information. It is on that document that the apartment number, size (bedrooms and bathrooms), share count (% of common interest owned if a Condominium), original purchase price, approx. amount of the mortgage applicable to those shares and projected annual maintenance amounts. These amounts were essentially estimates at the time that the Offering Plan was filed with Attorney General, so it is possible that these amounts have since changed. It would be wise to check with either the Management company or the attorney to verify that these amounts are current and/or applicable to the unit in question. We’re providing a sample Schedule A (click on this link) so that you can see the breakdown of the apartments and shares. Please note that this is in use for the building specific to this Schedule A and all others will vary accordingly. Update on 1/15/15: On January 14, 2015, President Obama signed the bill that reauthorized TRIA for another six years, with a new expiration date of December 31, 2020. Although it was renewed, there are some revisions to the TRIA renewal program. These revisions include higher deductibles to insurers. On December 26, 2007, the President signed into law the Terrorism Risk Insurance Program Reauthorization Act of 2007 (Pub. L. 110-160, 121 Stat. 1839) [TRIPRA]. This signing extended the existing Program through December 31, 2014, a date that is fast approaching.